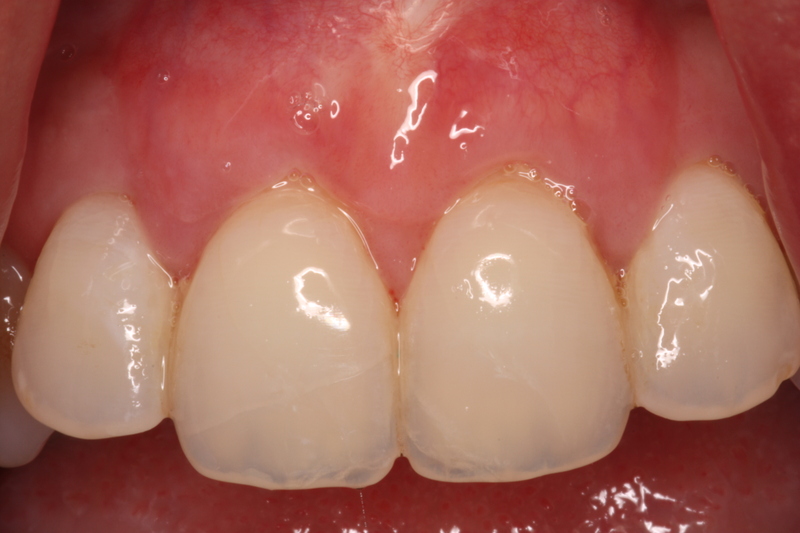 A very common question that dentist and periodontist get asked is what is gum recession. Predictably, the question that follows, is what caused it and how do we fix it. Therefore, I’ll answer all three questions and show a patient that presented with this common problem, and how I treated this patient surgically. Gum recession is simply defined as the displacement of the marginal tissue in a apical (downward) direction. The most common signs and symptoms of this problem is sensitivity to cold and exposure of the root structure. The most common causes include mechanical trauma (toothbrush abrasion, smokeless tobacco), inflammation (bacteria induced gum disease), and teeth malposition (crowding, grinding, orthodontic movement). Gum recession is multifactorial, and multiple causes can be blamed. Treatment of this common problem should result in increased root coverage and thickness of gingival tissue. These surgical procedures include pedicle flaps (coronally or laterally), autografts (connective tissue or free gingival), and allograft (alloderm, perioderm, or puros dermis). Based on factors that a patient may present with, a combination of procedures my be required.